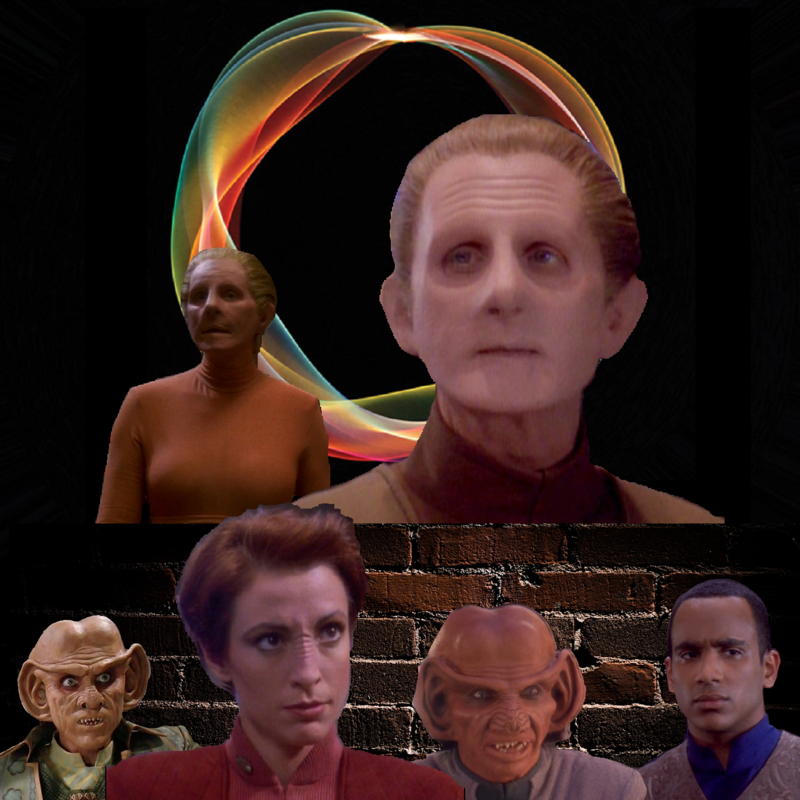 Go behind the lines with us back to the good ol’ days when Deep Space Nine was occupied by the Dominion, Odo was casually abandoning the life and friendships he had worked so hard to build, Rom was being arrested for subterfuge, Kira and Jake were desperately trying to keep a resistance cell going, and Damar was beginning to develop a drinking problem! Simpler times to be sure. To celebrate, the gang is downing some kanar and reflecting on how much they (heart) NY, the particulars of The Bolian Operation, Admiral Ross’s cultural heritage, their love of Batman, the lures of the Link, and so much more! LET’S. GET. DANGEROUS.